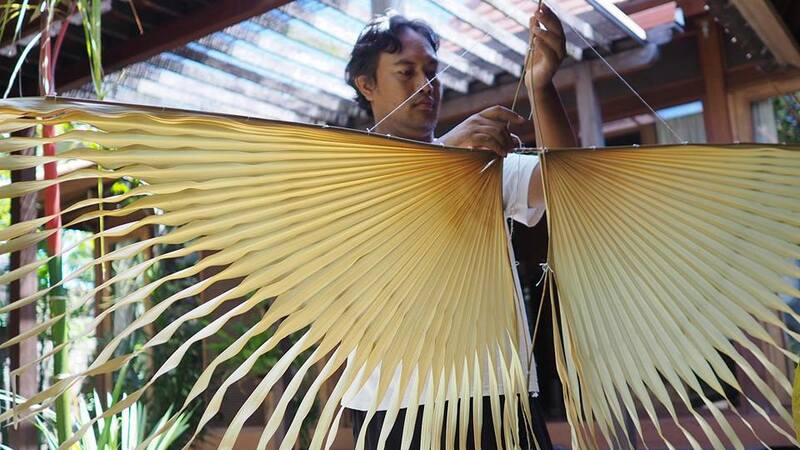 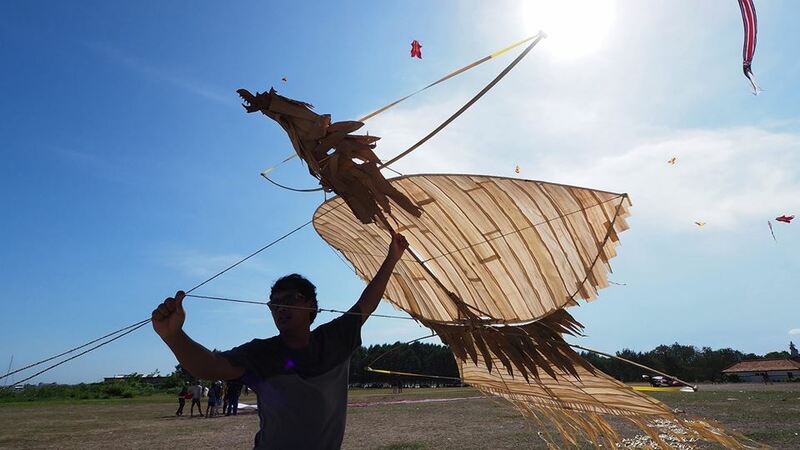 Ikadek Dwi Armika from Indonesia flew his organic kites made from taep leaves, corn husk and dried fruits on the beach of Sanur in Bali, Indonesia on April 21, 2018. 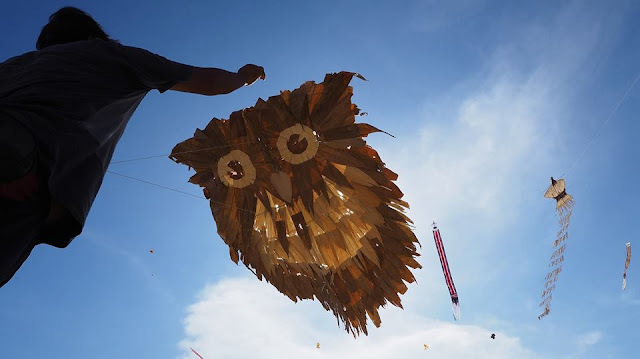 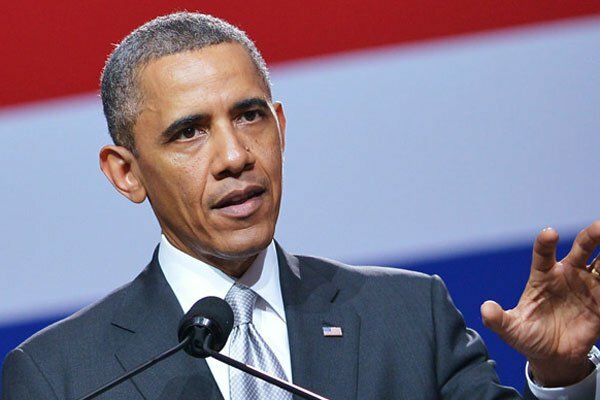 He used to think that kites were just made up of paper and plastic which have a bad impact on the environment. So he decided to make organic kites to help preserve nature.